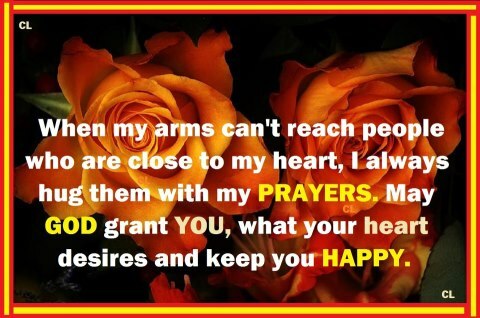 When you can’t be with that special someone – touch them with prayer. What do you do when you miss someone so much that it is hard to focus and the days seem longer and longer? What do you do when you are able to focus but at the end of the day you still miss that special someone? What do you do when you know it is good to be away from your child or children for a little while but you somehow in some crazy way actually miss them calling your name every five minutes and trying to be up under you EVERY SINGLE SECOND of every day? Anxiety is defined by the medical section of TheFreeOnlineDictionary.com as “a feeling of apprehension, uncertainty, and fear without apparent stimulus, associated with physiological changes (tachycardia, sweating, tremor, etc. )” In many cases, feelings about the loved one is the ‘apparent stimulus’ that yields to many sleepless nights, workaholic tendencies, and for a few some very unproductive and self-defeating behaviors that prevent one one from living the full life of love they actually long for. So yes, separation anxiety is very real and millions, if not more, deal with it every single day. Some have a longer duration than others but the emotions felt are very dominant in the lives of those affected. Now is the time to examine and assess the healthiest ways to cope. Let’s take a moment to go inward and soar! Here are five time-proven tips on how to handle separation anxiety from a loved one whether it’s a long-distance relationship, a child away for the summer, a caregiver who is miles away from their loved one or simply missing close friends from high school, college, or former colleagues. (1) Pray/meditate daily. Sometimes all we need to do is just simply re-center so we can be in a happy place. Happiness starts with you. It is natural to miss someone you love. In the Amplified Bible, Philippians 4:8 says: For the rest, brethren, whatever is true, whatever is worthy of reverence and is honorable and seemly, whatever is just, whatever is pure, whatever is lovely and lovable, whatever is kind and winsome and gracious, if there is any virtue and excellence, if there is anything worthy of praise, think on and weigh and take account of these things [fix your minds on them]. This must be a daily practice and brings us to our next tip. (2) Stay positive no matter what. Yes, this is easier said than done, but if you make a conscious decision to live in each present moment and enjoy the happiness of these moments as opposed to entertaining thoughts of fear (false evidence appearing real) of events that have not happened, or of even past events — you are more likely to stay in a positive frame of mind. This is key for dealing with separation anxiety of any level. (3) Do things you enjoy most and feel the joy. God is allowing this time apart to take place so make the most of it. For those in relationships, be sure to walk in integrity and do things that you will enjoy sharing with your spouse or significant other. For parents, the same applies and use this time to think of new and exciting things to do with your children that will create long-lasting memories of a lifetime. Absence truly makes the heart grow fonder. Have something great to share with your special someone when you reunite. For long-distance caregivers, look for things that you may want to share with your loved one upon your next visit. (4) Remember the good times. While waiting for that wonderful phone call or return call, text or that next visit, remember the great times you share together and enjoy those warm feelings. This will attract the great things you actually desire to happen because you are in a state of creating moments of happiness which only brings even more happiness your way. Simply stated: Stay in a place of pure love and love has no choice but to return back to you. (5) Express gratitude, starve your fears and grow your faith. FAITH is Forward Action In Trusting Him. Give thanks for the fact that you have someone to miss. Give thanks for the fact that you know you are loved. Do not listen to the whispers of fear and doubt. Those are lies. Love covers all and heals all. Starve your fears and grow your faith. Trust God with your life and those you love. If you lost a loved one, it is imperative that you give thanks for the love received from your loved one and give thanks for the great memories you have. Cherish the memories. Try your very best to celebrate the life they lived through your life that you now continue to live with courage, thankfulness and faith. No matter what end of the spectrum of separation anxiety you are experiencing today, know that you are not alone. Be sure to take it one step at a time – one moment at a time – one day at a time by faith, which worketh only by love. Each and every moment of every single day — be sure to be maintain your emotions in a pure place of love. Love casts out fear. Be Yourself. Be Love and Live Love –then watch abundance and peace flow through you! When I had separations from my then-fiance (we’ll be married 39 years tomorrow) it was back in the days of letter writing. We used to write long letters to each other, almost daily. It did help. Perhaps it was a form of meditation and staying positive. I never thought of it that way. I am so happy you enjoyed the article. Thanks so much for sharing!